There are some things that are perfectly reasonable to do on your own. Some things that look simple on Youtube may actually be more of a time investment in learning and tools than you may be ready for. And some things are truly best left to the professionals. When do you make the choice to call a professional? Here are some good rules of thumb. 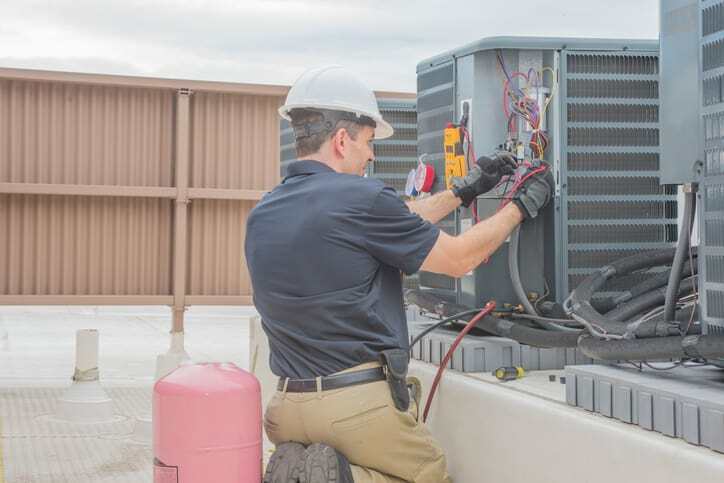 When you need a new air handler or are working with anything connected to gas line connections, calling the pros makes sense. Even something that may seem simple, like a replacement, may become overly complicated when the original parts are no longer available. Sizing and flow rates are all made to fit your specific system, and expertise and experience go a long way in making the right part choices. It would not be the first time we have been called to fix something that was damaged further in an attempt to repair it. If you are serious about getting your system repaired, our technicians are experts at diagnosing and resolving these problems. If you notice your system not working the way it should, we can take the guesswork out of “why” and save you a lot of time and frustration. 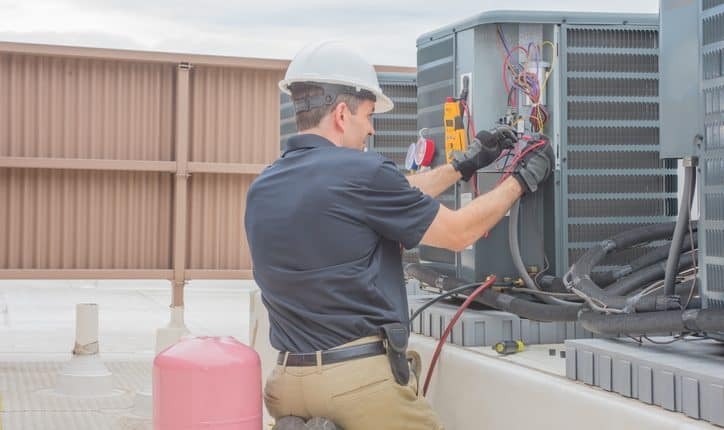 Routine maintenance that is totally understandable to tackle as a homeowner include changing air filters, keeping your outdoor unit free of debris and … the list stops around there. Every other thing, from new thermostats, thermostat adjustments, hunting down noises and troubleshooting are all done reliably and safely by professionals. Putting off work that needs to be done can end up costing you a lot of money if it leads to a larger failure and damages more expensive components. Yearly inspections done by us can go a long way in helping you get ahead of any of those issues and allow you to make educated choices as to how you want to address them. Try resetting it and checking the breaker. If that fails, then there is absolutely no shame in calling in the pros. Replacing components that don’t need to be replaced can end up throwing good money after bad. And at a certain point, repairs vs replacement discussions are appropriate. We can advise you on how best to spend your money on solving these problems. Knowing how to do a site survey, estimating BTU capacity needed to heat or cool your home, and sizing new equipment are all skills that come with training. These calculations can be complicated and should include factors such as the amount and type of insulation, location, and numbers of windows, and regional climatic changes. Software and equipment you likely don’t have access to make this a job that professionals excel at. Overall, if your time or the task will be more involved than you are equipped to handle, it is a good idea to call in the professionals.